Brett Trois – A riddle, wrapped in a mystery, inside an enigma. So recently a youtube viewer of mine (Dan Aba, whose youtube channel you need to check out if you haven’t already) turned me onto a Facebook group dedicated to sour beers. Lo and behold, the first thread I see on the forum is one claiming that Brettanomyces trois is actually a Saccharomyces yeast! This info didn’t just come from nowhere; Lance Shaner of Omega Yeast Labs sent of the strain to a friend for sequencing, and the sequence came back Saccharomyces. Unfortunately, the sequence quality was poor and the sample appears to be a mix of two strains – so I thought it was time to do my own investigation. I isolated some DNA and sequenced the Internal Transcribed Spacer (ITS) and part of the small (18s) rRNA gene to identify the yeast, using an optimized version of what I was doing in my previous posts. So what did these experiments show? . . . . . . . Answer (and details) below the fold. Brettanomyces trois – at least the version sold by White Labs (WLP644) – is a Saccharomyces. It is most likely Saccharomyces cerevisiae, but the genetic information doesn’t nail that down completely. So, how do I know? For those who want to get a better idea of the diversity of cell shapes and sizes, here is a field of view that does a good job highlighting the various morphologies that I observed in the culture of WLP644. Clearly microscopy isn’t going to solve this riddle, so onto the DNA. Clearly, we don’t have a species-level ID, but we’re down to a handful of species. I have, however, since developed a better analytical method for identifying yeast strains. I have built a database of ITS sequences from every species of Saccharomyces and Brettanomyces/Dekkera that exist in the NCBI nucleotide database. If more than two sequences are available for a given species, I tired to include a “type” species (e.g. the “default” or “model” strain for that species) as well as an additional strain from a different source. I limited the number of sequences for each species to 2, with the exceptions of Brettanomyces bruxellensis and Saccharomyces cerevisiae. I included additional sequences for these species as they are the most common brewing species and I wanted to ensure the best chance of a proper match. 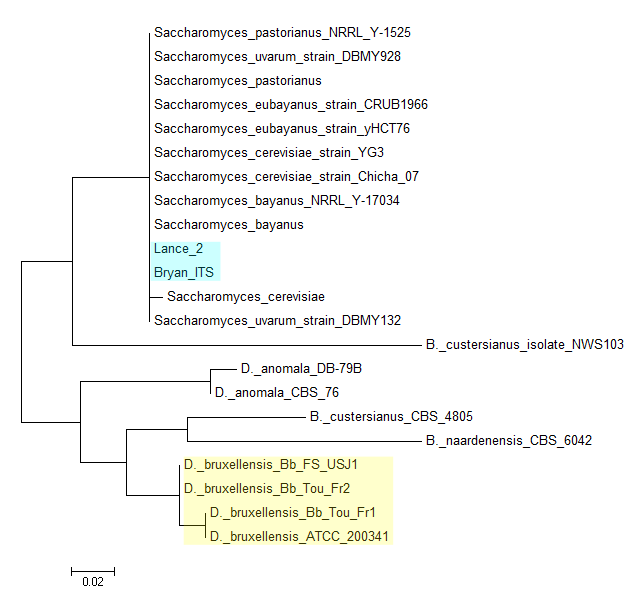 As you can see, WLP644 (blue highlights; Lance_2 & Bryan_2) is firmly rooted in the Saccharomyces genus. The sequence Lance_2 was provided by Lance from Omega Labs while I was running analysis – this was in addition to his earlier sequences that started this whole process. As you can see, Lance and I have near-identical sequences and these match up well with other Saccharmocyes, and the yeast is far removed from Brettanomyces (highlighted in yellow). Of course, the downside to using this particular part of the genome for identifying yeast is that it does not tell apart several of the species which make up the Saccharmoces genus. This is why I switched to small ribosomal subunit sequencing for my own ID work, but unfortunately, that sequence didn’t work this time around. 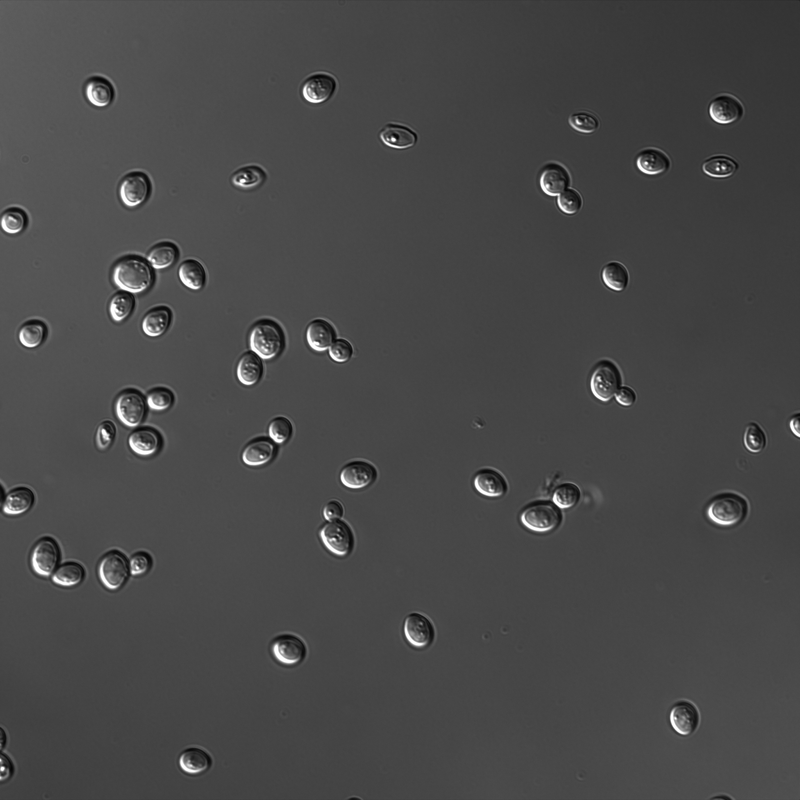 These results give us a bit more clarity – firstly WLP644 is closest to Saccharomyces cerevisiae than it is to other Saccharomyces yeasts, giving us a likely species identification. 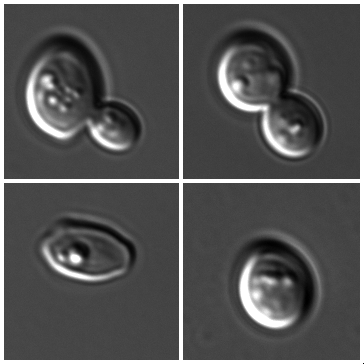 Secondly, it appears to be somewhat divergent from Saccharomyces cerevisiae as well – perhaps indicating that it is a a unique substrain, or perhaps even a unique species that has diverged from Saccharomyces cerevisiae. Opinion here seems to be split – half of people falling on the “who cares, it still makes good beer” and half on the “this changes everything – how did we not know” sides of the spectrum. Ultimately, I think it matters – but only a little. Beer drinkers and brewers are getting ever more used to dealing with odd organisms in their beer, and it looks like WLP644 is simply a little less odd than previously thought. People entering beers brewed with this yeast may need to stop entering it as a brett-beer, but otherwise little changes on that end. In contrast, there are some commercial aspects to this of more import. Because this yeast is now known to be a Saccharomyces, breweries and yeast providers will likely have to change their labeling, or risk running afoul of labeling laws. The fact this yeast is Saccharomyces may also lead to breweries previously unwilling to bring Brett into their breweries to begin working with this yeast. But it may mean one other thing – if you look at the last tree in my post it is apparent that while the “B.” trois is most genetically similar to Saccharomyces cerevisiae, it is much more different from S. cerevisiae than other species of the Saccharomyces genus are from each other – for example, there appears to be ~40X more difference between “B.” trois & S. cerevisiae as there is between S. baryanus, S. uvarium and S. pastorianus. What this may mean – although a lot of additional testing would be required to confirm – is that “B.” trois is a new species within the Saccharomyces genus. And that is pretty cool. As a rule, you do not need separate equipment for brett as it is no more difficult to get rid of than sacc (clean + starsan). That said, Trois is confirmed by white labs to be sacc, so working with it is no different than working with any other brewing yeast strain…other than its flocculation is horrendously bad. Bryan, I'm interested in trying a brett fermented recipe, and am wondering if when using Brett Trois I can forego any contamination containment procedures. Can I treat it just like my regular ferments, or do I need separate equipment? Wow, the big man himself! 1) I've tried (and am still trying) to enrich for brett. This is being done through culturing the WLP644 in media with cycloheximide. I have two different WLP644 isolates, but even after 1.5 weeks @ 28C I still have no growth from either sample. 2) The ITS PCR is quite sensitive to contamination – I've performed it on mixed brett/sacc cultures in the past and observed the expected ~800bp (sacc) and 500bp (brett) bands. From a purely theoretical standpoint, a visible band should be produced even if brett is present at 10^-7th the amount as the sacc. 3) No minor traces were present in the sequencing result; again, if this were a mixed culture that should have been observed. 4) Several others, using different WLP644 isolates, have found the same thing. That, despite the fact that we all used different batches of WLP644 – ranging from one of mine that I know to be one of white labs original releases (summer 2012), through to a new out-of-the-tube batch used by Lance, and we see the same result across those different isolates. 5) My isolates at least – and I assume those at Omega yeast labs and in the home breweries of those who also ran tests – produce beers with the expected flavour profile, and at least in my case, do so without requiring the extensive ageing one would expect if the flavour was being developed by a minute portion of the population. I agree with you completely – White labs does great work, and if this is a contamination issue they will resolve it. But given this yeasts history, it may be very well possible that it was simply misidentified originally and that error has since been unwittingly propagated by the various yeast companies out there who've released the yeast. I found this same thing with the Claussenii strain back in the day. Although that actually did have Calussennii in it as well os some of their other yeast and bacteria. The same went for the B. lambicus strain I plated out. The reality of it is, keeping yeast clean is no small task. White Labs offers amazing strains and does a killer job. But at the end of the day it's going to happen sometimes. Breweries struggle with keeping their cultures clean. Any brewery that says they don't have occasional cross contamination is not doing enough QA/QC to pick it up. It's just the nature of how it works. It's unrealistic to thick cross contamination doesn't happen from time to time. Now imagine a yeast company that only works with yeast. It is not a fair example of White Labs quality because Chris White and the crew at White Labs does a great job. This type thing is bound to happen, and when it does, the yeast company goes back to the original culture and starts up a new prop and then you are back to the pure culture, original yeast again. I'm sure White Labs has already done this and the Brett Trois that will be available will be Brett brux again as it usually is. Does this imply that the BSI Brett Trois is also sacch? Has anyone sequenced that yeast? Most of the commercially available 100% brett IPA type beers that I have had use that strain over the White Labs version. Very nice work.I am still playing with PCR/RFLP to ID SAC. and BRETT and now doing Acetobacter detection with PCR/RFLP (mostly because my 8 gall bourbon barreled flanders red seems quite acetic. These work nicely in the lab with undergrads BUT really gotta use the sequencing approach. Well that would certainly explain why my IPA fermented with trois "acted just like any other yeast" or whatever I said in that post. Have you reached out to White Labs for comment? I've dealt with them in the past and they were incredibly good about responding to my questions. Interesting stuff!